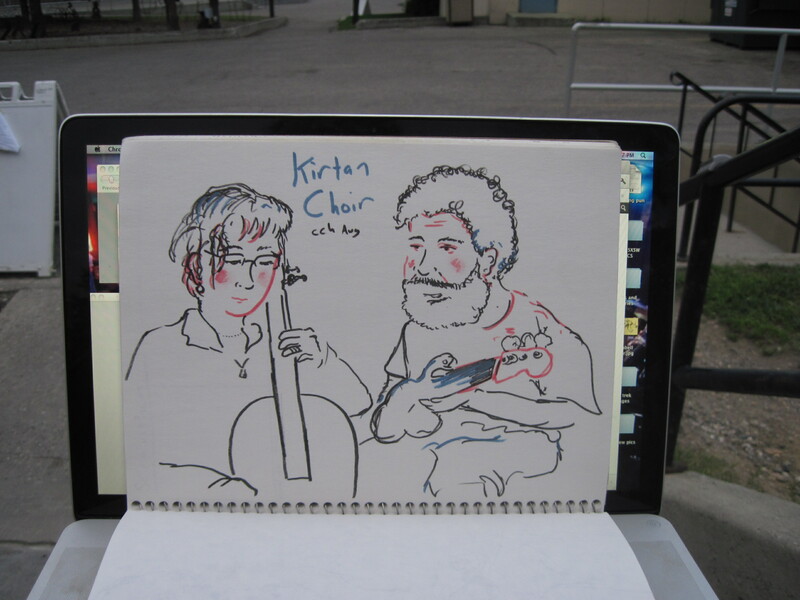 Here are drawings I made last summer of Kirtan Choir. 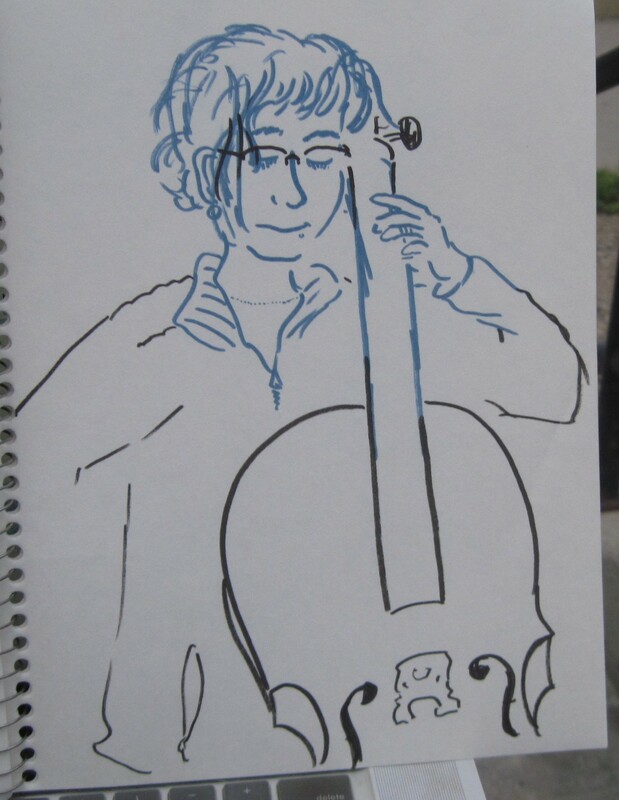 It was fun to open for them and they played a very cool set of improvisational music inspired by classical music and experimental styles. 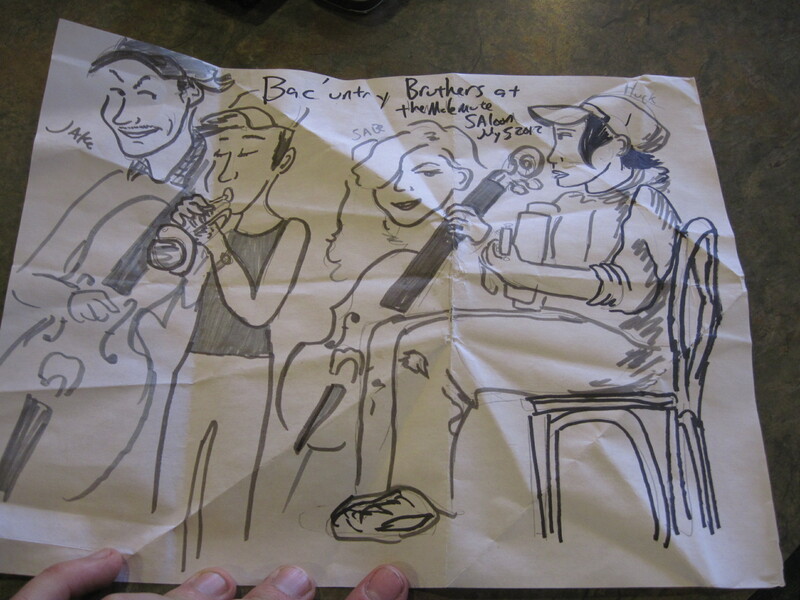 Below are drawings of Ba’cuntry Bruthers, one of my favorite bands of all time, and the subject of many a drawing by me. 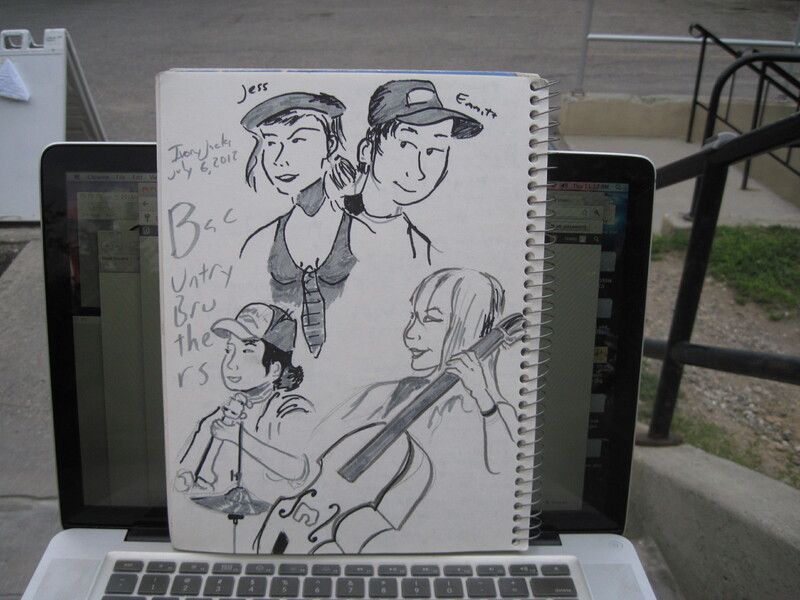 They don’t play often enough, but last week Fairbanks got two wonderful shows in Ester at the Malemute Saloon and Ivory Jacks. 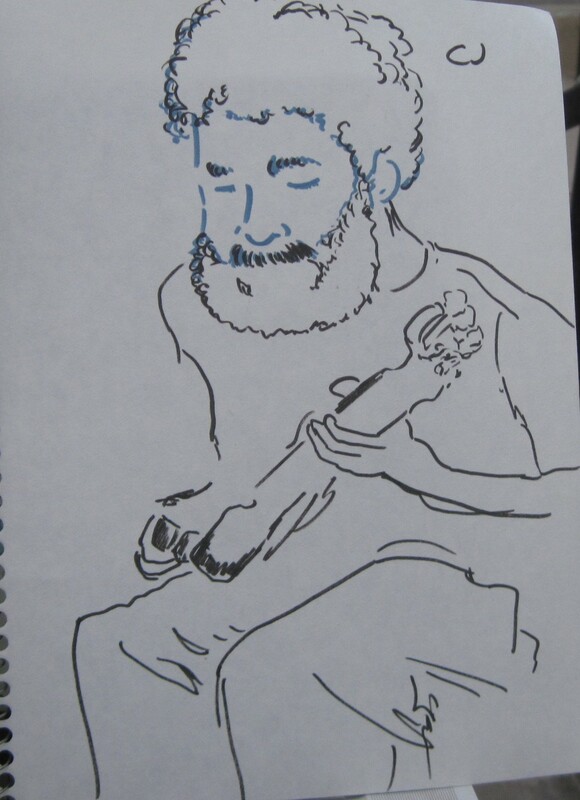 This weekend is AYP so I”ll be posting many more new drawings, also my friends Feeding Frenzy are going on tour with Netherfriends all over Alaska. They play the Pub Friday with Work, and The Marlin on Saturday. Also I just booked Lenka Dusilova (August 3) and Broombox (august 12) for the fair. Busy weeks coming up, lots more drawings on the way.